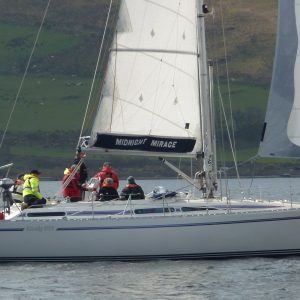 Blind Week 2019 Charter Boat. 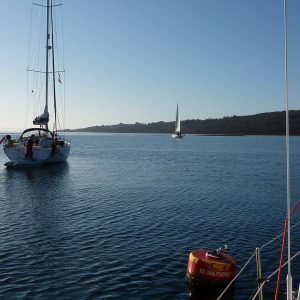 Location this year is the Solent, we’ll be based at the Royal Lymington Yacht Club, the Visa-gb trip will start a little earlier with our charter boat, an Oceanis 37, being ready to go on Friday 05/07/19 right through to a tearful farewell on Sunday 14/07/19. Opportunity knocks for those quick off the mark. Blind Week 2019 Private Yachts. 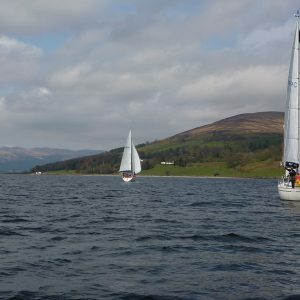 Yes that’s right, for the first time Visa-gb will be running up their flag on not one but two private yachts to take part in this year’s Blind Week sailing. 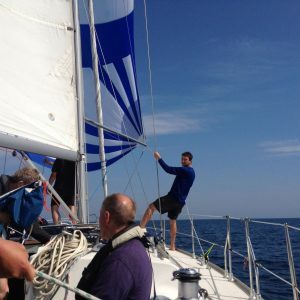 Crew will be needed to sail one up from Weymouth (and back at the end) and one from Chichester. The boats will be run under the Visa-gb ethos so prepare to be empowered and enjoy snatching the wheel away from the nervous owners and show them how it’s done. Cross Channel Hop. Are you available on short notice? Then maybe you’d be interested in a hop to the channel islands or La Belle France? Eyes on the weather and if there’s a suitable window we have access to a yacht for just this type of trip. 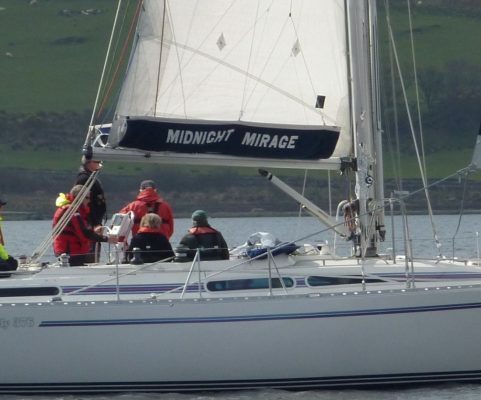 Based in Weymouth and fully kitted out for a few jinks on the high sea the yacht will whisk you across and back as long as you’re prepared to haul the main and shiver the timbers, let Colin know if this is for you. Flotilla 2020, Spring 2020 and it’s flotilla time. Thanks again to the resourceful Lofty Sims we’ve got the cash coming in to secure yachts for this fabulous festive flotilla showcasing all that is good about Visually Impaired Sailing. Register now to secure your place, the event will be in April and there will only be 45 berths available so you MUST let us know as soon as possible so we can allocate you a bunk! Yes & No! First of all we need to know if you do have any experience of sailing, maybe in dinghies or yachts, if you have great if you haven’t then no problem. We’ll make sure that there is always a good mix of people on the boat so the experienced sailors can help those who just want to have a go. Visa will make sure that we get you on the right trip, a gentle cruise with regular stops is better for the least experienced while the ones who’ve done it before might go cross channel or do a bit of racing. Don’t worry if you’ve never set foot on a boat before as every sailor takes great pride in helping someone new to this wonderful pastime. We aim to make every trip good value for money, we can’t give you an exact figure but so you can budget you should reckon on between £30 & £40 per day, remember that includes all your food but not your travel to and from the boat. Great value and we hope you agree. Just so you know we are not in this to make money and every penny goes on the trip and no one gets paid!